Our studio is based in rural Essex, only a short distance from London. 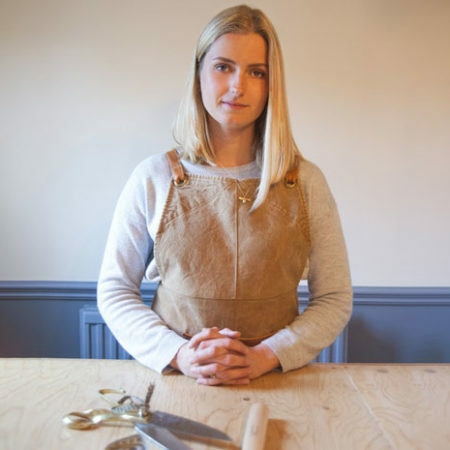 Emily Craven Interiors was founded in 2015. After many years working within the fashion industry, Emily was looking for a change, a chance to be more hands-on and creative. 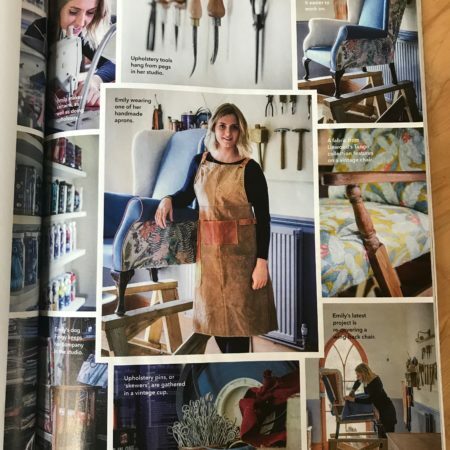 After watching her mother dabble in upholstery for many years, she decided to take on her own challenge, reconditioning her very own arm chair under the supervision of David Mill, a local upholsterer. This little project soon turned into a series of big projects and she has never looked back! We take satisfaction out of taking fabric and turning it into something exceptional. Whether it’s a set of curtains or reconditioning a sofa, we take pride in creating something bespoke and bringing to life items which may otherwise have been lost. We wanted statement curtains for our little girls room that weren't the same as other children's curtains. Emily came out to us to measure up with a selection of fabrics and sourced extra samples, until we found the one that was perfect. Once fabric was picked Emily wasted no time in getting the curtains made and delivered back to us. Really happy with the end result. Thank you. After Emily's fabulous transformation of our bedroom chair there was no one else we would consider when our dining room needed new soft furnishings. As good as ever, bespoke curtains and cushions have completed the design and are perfect for the job. Thanks Emily. I would like to thank you for the beautifully made blinds. Your advice and inspiration were especially appreciated when it came to fabric and style and your friendly, professional and prompt service was excellent. I would happily recommend Emily for all soft furnishings. Emily was extremely helpful and professional from the start. She was able to provide a quote to reupholster an antique arm chair based on photos and measurements which was extremely helpful. She was very communicative and informative on different types of fabric and just how much was needed should I wish to place the order myself. Upon receiving the finished product (a beautiful armchair for our new baby's nursery) we were extremely impressed with the care and attention taken in the workmanship. I would not hesitate to use Emily again and could not be more delighted with her level of service, craftsmanship and overall ability to do a job well! Thank you. Emily took an elderly and dated 1970s pink Dralon bedroom chair that was probably destined for the tip. She helped with the choice of new material and has transformed it into a marvelous new reading chair with a style all of its own. Brilliant! I am delighted with the professional alterations to my ski pants. I needed them made a size smaller and Emily made the waist and the seat fit a treat and maintain the style and shape of the ski pants. Also a great job of adjusting the length of my suit trousers. A brilliant job, thanks. Perfect curtains and perfect service. We needed inspiration to help us get the right curtains for our new house. Emily was able to offer a complete service that you just wouldn't get with high street shops. From initial consultation to the delivery of the curtains, Emily was brilliant throughout the whole process. She was efficient in turning our curtains round, had lots of good ideas to offer and made it fun. This girl knows her stuff! So much so that we now have 4 beautiful sets of curtains and some custom cushions as well - thank you so much Emily. Having just recieved my two custom made blinds from Emily Craven Interiors, I could not be more pleased with them. From the initial choice of fabrics to the installation of them, the whole process was very easy and Emily was very informative about all my options. The quality of the final product is perfect, I've had so many comments about them already! Emily couldn’t have made the whole process look any easier. 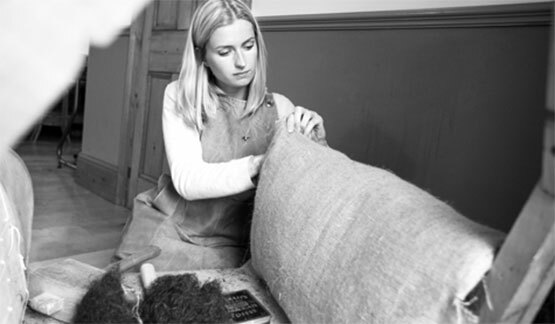 She worked extremely hard to deliver our bespoke Pinch Pleat curtains on time. We love the weighted, quality of the fabric and the curtains dress our sliding sash windows beautifully. Should the need arise, we would not hesitate to use Emily Craven Interiors again. You can tell she loves what she does. Keep up the hard work!